Was 2014 the hottest year after all? World media rushed to report that "2014 was the warmest year on record", but it seems no one bothered to look at the fine print and the fact scientists can't be sure the claim is true, writes Samantha Walker. Was 2014 really the hottest year on record? The headlines across the world's media last month - including these pieces from theBBC, CNN, Wall Street Journal, The Guardian and The Age certainly claimed that it was. The media chorus last month followed a joint announcement by two US scientific organisations: NASA's Goddard Institute for Space Studies (GISS) and NOAA's National Climatic Data Centre. On January 16, they released a categorical statement to the press that "2014 was the warmest year in modern record". Yet 10 days later, the UK's Met Office (its national weather service) stated that while 2014 was indeed very warm, it wasn't actually the single hottest on record. So the first question is - was 2014 the hottest year or not? A quick bit of critical analysis explains where the confusion lies. Director of GISS, Gavin Schmidt, and his colleagues published a paper moderately asserting that 2014 was hotter than the second hottest year - 2010 - by just 0.02°C. That number is five times less than the 0.1°C of uncertainty in their measurements. They stated that 2014, 2010 and 2005 were "in a statistical tie because of several sources of uncertainty, the largest source being incomplete spatial coverage of the data". Now, this is detail that Colin Morice at the UK Met Office agrees with. According to Morice's press release: "Uncertainties in the estimates of global temperature are larger than the differences between the warmest years. This limits what we can say about rankings of individual years." A ha! It seems last year may not have been the hottest year on record - or at least not the single hottest year. So why wasn't this detail reported by the world's major media outlets, which opted instead to run with the more sensational "2014 the hottest year on record" headline? There was no mention of any scientific uncertainty in these articles, and often no mention of the infinitesimally small difference between 2014 and 2010's temperatures (ignoring any uncertainties). Given the incredibly hot political nature of global warming, this seems remiss. Glossing over the facts can only serve to fuel doubts about the credibility of climate science, which is counterproductive when your goal is to offer "proof" of continuing global warming. NASA and NOAA's slightly baffling press release handed the media the pronouncement that 2014 was the hottest year on record, on a silver platter. Nonetheless, the organisations also released the data that the press release is based on, and they also recorded interviews where they discussed uncertainties about the rankings. 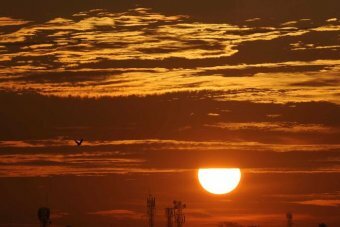 NASA calculated the probability that 2014 was the hottest year on record to be 38 per cent, whilst NOAA's analysis came in at 48 per cent - both leaving significant wriggle room for other years to take out the top spot. The lack of depth reported under this highly publicised headline begs a big question: where did all the science journalists go? While so many journalists choose to analyse the minutiae of any political leadership challenge or celebrity romance, it seems that the only analysis done on these recent scientific statements was by journalists who used NASA and NOAA's uncertainties as evidence ofthe great global warming conspiracy - the "pause". This is a critical time for quality science journalism: our daily lives are becoming more and more intertwined with technology, and the climate continues to change. It's vital that there are journalists out there who are dedicated to scrutinising issuances from the science and technology powerhouses - even dissecting reports from the greats, such as NASA. Sadly, the decline of the science journalist has been well documented - in 1989 there were 95 newspapers with weekly science sections; now there are just 19. Over recent years the newspaper industry has taken a massive hit. Naturally, editors and producers are searching for ways to meet their bottom lines. Unfortunately more and more specialist science reporters are being replaced with less expensive and less experienced general reporters, who can cover a myriad topics. Of course, there is also another more cynical possibility - that meticulous journalists did pick up on the nuances of the message, but chose to run with more sensational headlines that they knew would drive more clicks and page views. Regardless of whether that is true or not, the real danger for journalists and publishers is that experiences like this cast doubt on the motives of those who produce the news. For an industry that relies on uncovering the truth of matters great and small, this thought alone should be terrifying. For now, on the debate as to whether 2014 was the hottest on record or not, the answer is that it doesn't really matter which year was hotter by 0.02°C averaged out across the whole planet, over the whole year. The difference between the two hottest years, the third hottest and the 10th hottest year is minuscule and the temperature of individual years can be affected by the chaos of weather patterns. What's more important is the long-term trend in global temperature, which speaks loud and clear. The 15 warmest years on record have all happened since 1998, and last year was also the 38th consecutive year above the long-term temperature average. Resourcing our top journalists to extend their critique and analysis on matters of science and technology is a vital part of the climate change solution. Samantha Walker is a freelance science journalist and an editorial staffer at news service inkl.com.